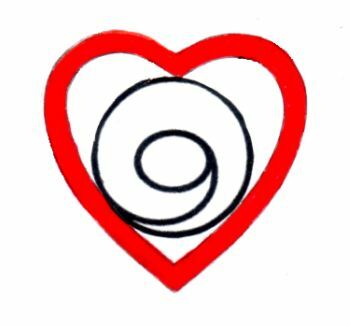 Synopsis: Are you a “thanking” person, good at the love skill of gratitude? ; how to develop gratitude awareness; how gratitude improves your physical, mental and relationship health; how to grow your gratitude love skill, and healthy, real love via gratitude. Are You a ‘Thanking’ Person? A month after our most loving and appreciative guests left we were still finding little Post-it notes secreted away in different hiding places telling us about different things our guests were grateful for during their stay with us. Each note came as a tangible, little, friendship-love surprise gently touching our hearts. It endeared them to us even more than they already were. This is an example of highly love-skilled people who found a special way to express their gratitude. True thankfulness grows out of gratitude. Gratitude, let me suggest, is a highly worthy sub-classification of love behaviors related to the larger major category of ‘affirmational love’. To have gratitude one must have awareness of what one can be grateful about. This takes a mind-set focused on the good things coming one’s way. Then one must have at least a minimum amount of healthy self-love and confidence to risk showing appreciation. It is amazing how many people fear that if they show their gratitude it will be unwanted, or they fear they will do an inadequate job of showing gratitude. Some fear their way of showing gratitude will be regarded as silly or somehow inferior and, therefore, they stop themselves from the full expression of their gratitude. Some people think that their show of gratitude must be done in some large and impressive way and if that can’t be accomplished they don’t show it at all. Notice in the above example of the Post-it notes the people doing this could have thought such notes might be annoying or regarded as cheap or insignificant. I suppose people poor at ‘receptional love’ indeed might be so inclined. I hope you’re not among them, but if you are remember help is available here and at other love-focused places. Let me suggest you have more to be grateful for than you will ever be able to be aware of, let alone give thanks for. To start with, you were born as a great, amazing bundle of miracles. Even a rock is miraculous but you are so incredibly more than a rock. Be grateful! When you were born you were loved enough to keep you alive. Many are not and they die of marasmus and other ‘failure to thrive’ diseases of infancy. Be grateful! Then you began the incredible, miraculous process of maturing and discovering the incredibly miraculous world you were born into. Some who are born cannot do that, so be grateful! You were at least minimally loved, laughed with, played with, and taught something of the world. Be grateful! You also were able to learn on your own and that learning ability was a gift some do not have. Be grateful! Then there were the people of your life, some of whom were not so great. Others, however, probably influenced and guided you better than you are aware of. If they had not you never would have learned to read what you are reading now, nor would you be able to think about it as well as you can, and probably you wouldn’t be able to grow from what you’re thinking as well as you can. Be grateful! Recent research shows that those people who actively feel and show gratitude improve their physical health in a number of ways as they do so. Mental health also is advanced by loving gratitude which triggers neurochemical improvements in our brains. Longevity also has been linked to gratitude and, as might be expected, those who are good at gratitude are measured as having significantly better interpersonal relationships. Those who are poor at gratitude are measured as less physically, mentally, emotionally and relationally healthy and they live shorter lives on average. There are dangers to not feeling, showing and receiving expressions of gratitude. Some people shrug off showing gratitude as a waste of time and an unnecessary action. There are those who are embarrassed when gratitude or thanks is shown to them. Sometimes that’s because they don’t quite know how to receive it or reply but that can be learned. Then there are the people who have been trained to quickly dismiss expressions of gratitude so as not to seem egotistical. This may discount the gratitude-giver which might harm the relationship with that person. There are those who don’t show gratitude for egocentric reasons, believing themselves to be somehow superior rather than just different from others. Some overly power-oriented people think showing gratitude demonstrates weakness. That can lead to fear and away from love. Then there are those who are suspicious of gratitude, thinking it is merely a manipulation setting them up for some sort of misuse. All of these people who undervalue gratitude miss out on the health benefits mentioned above and on the very real joy that results from truly being grateful. One of the more interesting findings in gratitude research has to do with people becoming thankful for something, and then showing that gratitude which then appeared to open the door to solving a life problem they were having. Research also has shown people good at gratitude get through hard times easier than others. Did you know that Gratitude Groups are being experimented with in some prisons, nursing homes and certain schools. Groups discussing what they have gratitude for and how they will demonstrate that gratitude are producing a variety of surprising, positive results. Gratitude exercises in couple’s love education classes and workshops are resulting in couples more deeply bonding with each other. Guided gratitude facilitation in family love education retreats and seminars show similar results for whole families. Of the people who have influenced your life who are you most grateful for? For each decade you have lived can you think of some people you can genuinely say you were quite fortunate to have had in your life? Of the people who are in your life now who most merits you showing gratitude to. Are there people in your past who have passed away to whom you wish you had shown more gratitude? Who are the people you would most enjoy showing gratitude to? Who are the people who would be most surprised by you showing gratitude to them? Perhaps you will want to spend some time thinking about these questions and you may want to make some lists. Suppose you were to give some of the people you just thought of a call, or send them a note, or visit them expressing your gratitude for what they have meant in your life. Then again you might do it in an anonymous way. It is good to feel gratitude and that does you healthful good but expressing it may be even better. The more you focus on and feel gratitude and then express it the more you are likely to grow your gratitude-giving competence as one of your love skills. How soon can you genuinely thank somebody for something? The sooner the better. How soon will you pay attention to something someone has done for you, or that benefits someone you care about, and lovingly tell them of your gratitude? As you encounter people today and tomorrow will you make yourself aware of at least some small thing they do that you can appreciate. Will you then be at least a little grateful. Some think our world leads us to notice the things we don’t like more than the things we can like. Many people’s families or a sub-society they grew up in taught them mostly about griping, complaining, whining and being ungrateful. This anti-gratitude way of going about one’s life approach now is seen to be surprisingly stressful and to shorten life. Train yourself in appreciation-awareness and to feel and give gratitude as part of ‘affirmational love’ giving and your life will be a happier, healthier place to live in. Large numbers of people just don’t have much of an awareness of gratitude and the good it does. Especially our love relationships can be benefitted by people who feel and frequently show genuine gratitude for the love acts of others. So today and tomorrow and the next day too, I want to dare you to be grateful for something you would not have otherwise been grateful for and then show your gratitude in one fashion or another. Gratitude can be shown with a pat on the back, a hug, a smile, just a few words of thanks, a note, a gift, doing a favor for, public bragging on another person and in a host of other ways. I want to challenge you to challenge yourself to make yourself good at the love skill called gratitude. Hopefully this little love lesson will assist you in that endeavor. 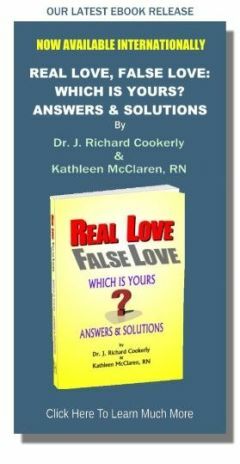 ♥ Love Success Question The concepts of healthy self-love suggest that you give gratitude to yourself for having helped yourself live as well as you have. So, are you doing that?